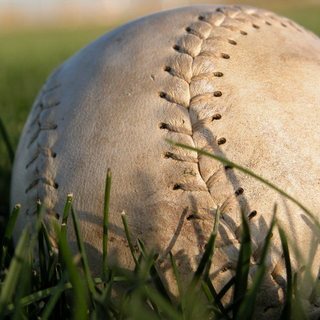 Milton Girls Softball (MGS) Spring League provides softball opportunities for the girls in the Milton community by offering a recreational girls softball league and game schedule from January through June. Milton Girls Softball is open to girls in Kindergarten through Grade 8 who reside in or attend school in Milton. Practices start in early April with games running from late April to the end of the school year. New softball players are welcome in all divisions as this is an instructional and recreational program, yet competitive enough for all players in town. Kindergarten Program. The K Program is an 8-week session designed to introduce kindergarteners to the sport of softball as well as provide an opportunity for them to play and interact in a safe, stimulating, and nurturing environment. Freshwomen - Grades 1 and 2. An instructional league where the focus is on fundamentals: Throwing, catching, field positions, base running, and proper hitting mechanics. Coaches toss easy pitches to batters and score is not kept. There should be “fairly” distributed playing time and access to all playing positions (i.e. infield at least two innings per game and in the outfield at least two innings per game) for all girls. No called strikes. No umpires. There is one weekend game and one 6pm weeknight game each week. Sophomores - Grades 3 and 4. This division builds upon instructional level of the Freshwomen Division and focuses on the fundamentals of pitching, hitting, throwing, and catching. Girls learn the rules of softball by playing game conditions. Girls should have access to all playing positions (including pitching) at different points throughout the season with a coach’s concern for a player’s safety kept in mind. High school varsity girls umpire and call balls and strikes. Most regular softball rules apply. Two or three games/practices per week. Juniors - Grades 5 through 6. This division focuses on the fundamentals of hitting, throwing, and catching where players learn to become smart aggressive base runners, fundamentally sound at the plate and understand where to make the play defensively. Girls interested in pitching should continue to throw during games and in practices. Girls should have access to all playing positions at different points throughout the season with a coach’s concern for a player’s safety kept in mind. High school varsity girls umpire and call balls and strikes. Most regular softball rules apply, base stealing is not allowed. Two or three games/practices per week. Seniors - Grade 7 through 8. Incoming 7th graders and new players to the league are drafted onto teams to ensure competitive balance. Playing time should be balanced and playing positions rotated. ASA umpires call balls and strikes. Most standard ASA softball rules apply. Two or three games or practices per week. This is a competitive league but many new 6th, 7th, and even 8th graders have been very successful. It is the goal of the MGSA to educate the girls of the Milton community the ideals of good sportsmanship, team play, honesty, loyalty, courage, and respect for others. MGSA will provide an environment that will also remain sensitive to the physical and emotional well being of the girls.